Do you have a problem with chicken drying out on the grill? A good chicken marinade will not only help prevent meat from drying out but also protect these more delicate pieces from intense heat while adding extra flavor. ﻿When ​marinating chicken, make sure to separate the pieces, allowing the marinade to reach as much of the surface of the meat as possible. Skinless, boneless chicken breasts can be marinated in as little as 30 minutes while a whole chicken will need between 6 to 8 hours. Marinated chicken pieces for 2 to 3 hours. Try some of these healthy chicken marinade recipes. You know about jerk seasoning and jerk rubs, well how about a jerk marinade? Loaded with flavor, this chicken marinade has the power to turn a plain chicken breast or any other piece of chicken into something amazingly good. 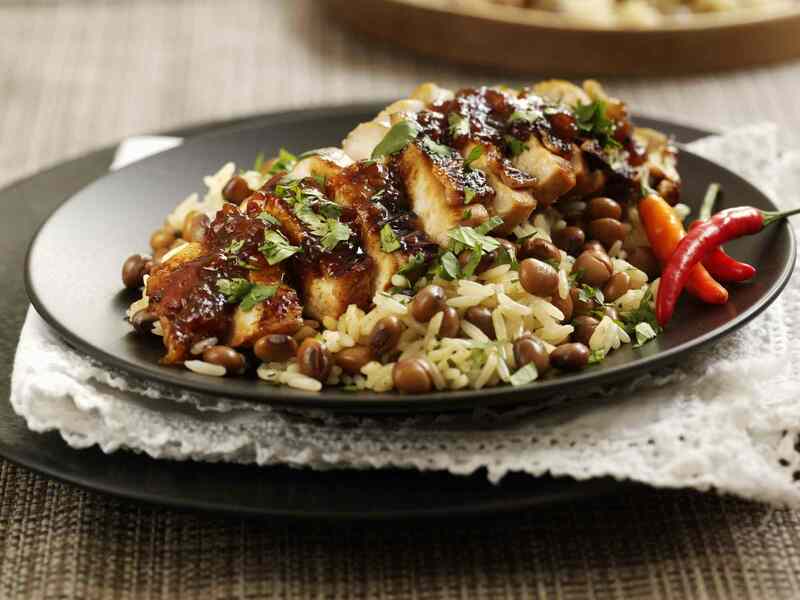 Want to get that sweet and savory teriyaki flavor into your favorite chicken dish? This marinade recipe is sure to do that. Try brushing this marinade on vegetables as well, right before they hit the grill. You can also use this marinade as a sauce, heated up right before serving. Bursting with flavor, this red wine marinade is great on any piece of chicken from skinless, boneless breasts to whole chickens. Try this marinade as a basting sauce as well. It has the power of a fantastic marinade and the flavor of a great sauce. Sweet and fruity, this chicken marinade has the power of pineapple and vinegar to add tenderness as well as all that flavor. One of our most popular marinade recipes, we promise this one is going to be one of your favorites as well. Based on the popular flavor of rotisserie chicken in those warehouse stores, this poultry marinade is perfect for all kinds of chicken no matter how it is cooked. We do suggest that you give ​rotisserie chicken a try with this ​one, though. With a hint of acid from the lemon and earthy freshness from the rosemary, this is a great marinade recipe for chicken. 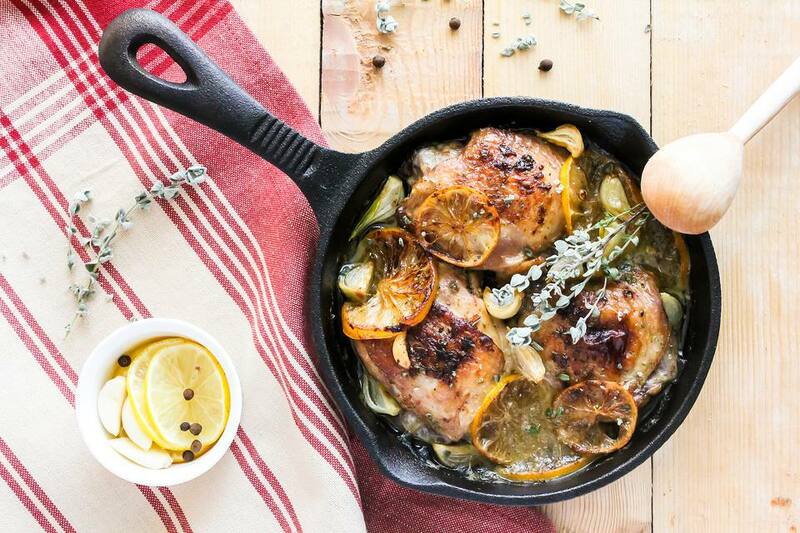 It produces a lemon-herb flavor similar to that found in so many store-made chickens. However, this is much better. Rich with the flavors of lemon and wine, this marinade works great on all types and cuts of chicken. With as little as 30 minutes marinating time, this recipe can turn any piece of chicken into an amazing meal. This is truly on of the best chicken marinades you will find. Loaded with the perfect ingredients for making fajitas, this marinade is compatible with most meats, but particularly chicken. Marinate chicken breasts for about 30 minutes, but if you want a great treat, try using this on whole chicken for an unforgettable meal. Arguably one of my favorite Asian fusion recipes, utilizing a soy sauce and cider vinegar base, complimented by a sweet citrus component, this chicken marinade works magic. Remember to let the marinade cool considerably before using it on raw meat. Although carne asada means beef, this marinade works just as well on chicken. Try using this chicken marinade to make tacos, enchiladas or anything with a Mexican flare. Easy Chinese Five Spice Marinade: Use It On Anything!